“The problem with Harvey is that it is trapped,” an atmospheric scientist and tropical storm expert tells Gizmodo. One fear is that Harvey could drift back out to sea and then return again with renewed force. 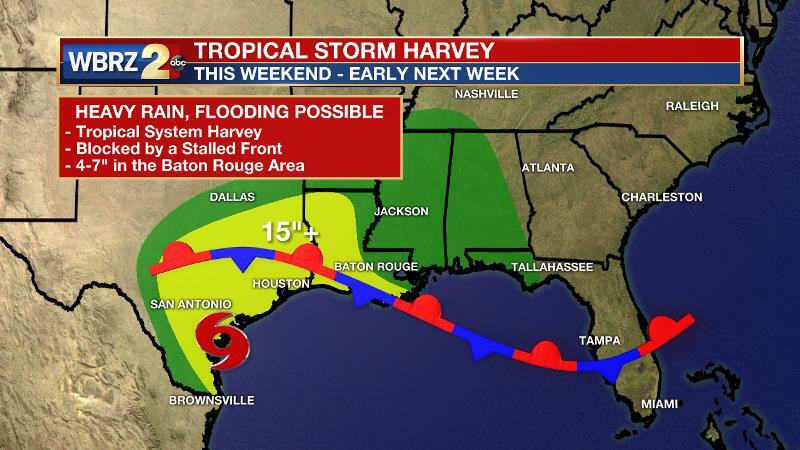 Right now, Houston is in the midst of a catastrophic flood disaster as tropical storm Harvey, which made landfall as a Category 4 hurricane on the central Texas coastline Friday night, continues to unleash torrents over the Houston/Galveston metropolitan area. Harvey is expected to drop an additional 15 to 25 inches of rainfall over the next few days, which, combined with 1-2 feet of rain that fell over the weekend, has created a “worse than worst case scenario for Houston,” and could lead to some of the highest rainfall totals the nation has ever seen. After making landfall, they tend to dissipate quickly, losing energy and organization as they blow across cooler, drier, inland air masses. What makes Harvey both incredibly dangerous and highly unusual is that it has barely budged over the last few days, channelling nonstop belts of rainfall from sea to land. “There is virtually no precedent for such a slow-moving system maintaining at least tropical storm strength along the Texas coast for five days,” meteorologists Jeff Masters and Bob Henson wrote yesterday on their weather and climate science blog, Category 6. So, why won’t Harvey leave Texas alone? “The problem with Harvey is that it is trapped,” Phil Klotzbach, atmospheric scientist and tropical storm expert at Colorado State University, told Gizmodo in an email. It is time for Texans to adapt to the new climate since no one seems interested in mitigating. What road? 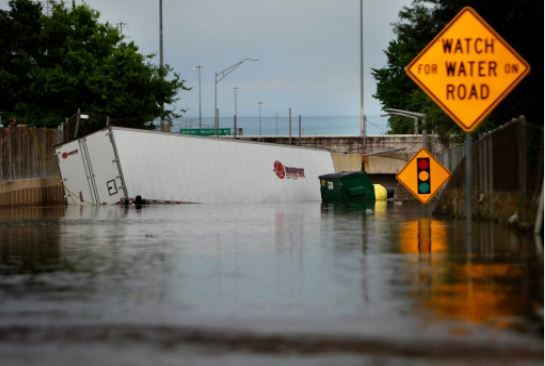 The sign in the photo should be changed to read: Look for road under water, or, Do not pass if road not visible, or, Tow cables mandatory when wet. This is a good link for PMF data: http://www.nws.noaa.gov/oh/hdsc/PMP_documents/HMR51.pdf Check out the values for Storm #85 on page 94. Harvey will be one for the record books. Joe Bastardi has had this one pegged for weeks now. A loop is coming, redoubled rains, then northerly flood surge overwhelming Galveston Island from its un-seawalled inland side. The Gulf tides have already been piled in the bay….. No one listened but this will be ‘unprecedented’ (it is not! ), and millions are trapped. Calling all boats if the winds allow. Amazing just how much water has fallen on Texas over the last few days. I blame it on all those cattle ranchers praying for rain during the recent drought – a good example of the law of unintended consequences! May 2015: The Texas drought ends; climate alarmists wrong again! In the context of climate change, is what we are seeing in Houston a new level of disaster which is becoming more common? The flood disaster unfolding in Houston is certainly very unusual. But so are other natural weather disasters, which have always occurred and always will occur. Experts say the “bayou city” is so vulnerable to floods — not only because it is low-lying — because explosive growth in the metro area has added 25 percent more pavement in the last 15 years, replacing soil-rich wetlands that could absorb water with concrete suburbia. The BBC says Harvey is ‘The biggest storm to hit the US mainland in 13 years’. Confirming that Gore’s predictions of doom after Katrina in 2005 were nonsense. No upward trend – if anything the opposite. Anyone blaming Harvey on global warming doesn’t have a leg to stand on. What science says one storm is a new climate? In terms of adapting, there must be a strong case for improving storm drainage in expanding places like Houston that have seen large areas of rain-absorbing land paved over in recent years. Only a few years ago some climate alarmists were claiming permanent drought was the new normal in Texas. What makes Houston so vulnerable to serious floods? At the same time, the changing climate means these heavy storms are becoming more frequent. 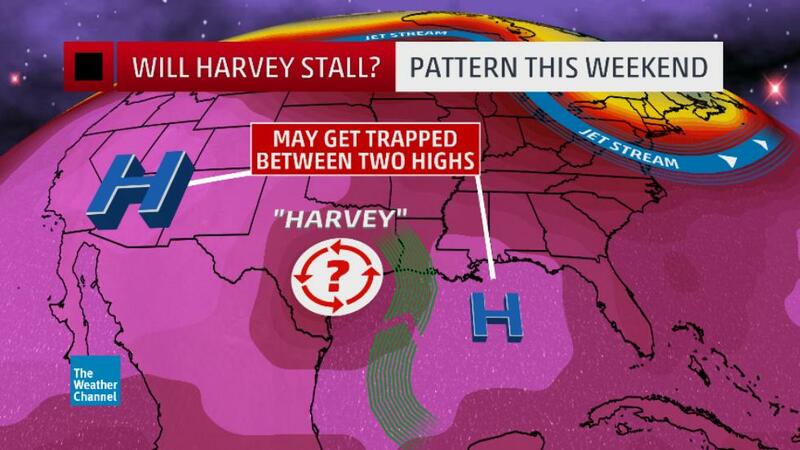 Which ‘more frequent’ heavy storms exactly – Harvey and…? Show us the list if there is one. Yup, time for Huston to adapt. Seems as if the same were built after the storm in 1929. Yeah, so this is not unprecedented. Seems as this is part of a 20 to 25 year cycle. And what has happened since? Could it be all the concrete, outdated drainage systems? And growing to the fourth largest city? And then getting hit with a massive twenty year rain? And not knowing they are in a swamp? In the floodplain? And not earning enough to evacuate to a safer location? Houston has a long history of flooding. And as the city has grown into America’s fourth largest city, losses of life and property from chronic flooding have grown along with it. Between 1999 and 2009, Houston incurred just over $3 billion in insured losses alone. But such losses are not inevitable, said Samuel Brody, a professor of marine sciences, landscape architecture and urban planning at Texas A&M University. The real problem, in a word, is the stuff that’s covering most of the flood-prone region: pavement. Pavement, to me, is the problem,” Brody said. Pavement is impermeable — it does not absorb water. When rain falls, or when ocean waves drive seawater onto land during intense storms, the water simply collects at the surface. “Every square meter of pavement in Houston, on average, translates into about $4,000 of extra flood damage,” he said. We calculated that between 1996 and 2011, the Houston region increased its pavement, its impervious surface coverage, by about 25 percent, which is hundreds of square miles of pavement. Houston ranks #5 in US Metropolitan Statistical Areas with about 6.8 million residents. That’s >14% up on the 2010 census. I don’t know of any portion of global warming theory that would explain why Harvey stalled over southeast Texas. Michael Mann’s claim in The Guardian that it’s due to the jet stream being pushed farther north from global warming makes me think he doesn’t actually follow weather like those of us who have actual schooling in meteorology (my degree is a Ph.D. in Meteorology). We didn’t have a warm August in the U.S. pushing the jet stream farther north. The flooding disaster in Houston is the chance occurrence of several factors which can be explained naturally, without having to invoke human-caused climate change. We already know that major landfalling hurricanes in the U.S. have been less frequent in recent decades. But once one forms, if it stalls near the coast (a rarity), it can be expected to cause a flooding disaster…especially in a flood-prone area like Houston. Then there are the more convoluted attempts at explanations of alarm-oriented climatologists. Talkshop post: One fear is that Harvey could drift back out to sea and then return again with renewed force. This has happened to some extent, but it’s moved towards land further east e.g. Louisiana. It is nature doing what nature does. And coming out after the storm and claiming it’s something else reveals either ignorance of the past or, if you do know, an agenda based on deception. If I saw the people commenting on this now making a preseason forecast, or even five days before when the obsession was the eclipse, then perhaps I would be more open to those ideas. But telling people why after the what is Monday morning agenda-based quarterbacking. Perhaps that is the lesson of Harvey. Here they come, the eco-ghouls, feasting on another natural disaster. This time it’s the floods in Houston. No sooner had Hurricane Harvey caused terrifying waters to consume entire streets and trailer parks than the eco-set was rushing in to try to make moral mileage out of it all. This is climate change in action, they decreed. This is man’s fault, they insist. Our hubris caused this watery horror, they claim, sounding positively Biblical, like Old Testament patriarchs warning the sinful populace that God will punish it with floods. There’s nothing like a natural disaster to remind us how backward environmentalist thinking is.